Lungs: it’s easy to take them for granted, isn’t it? Yet, if we can’t breathe, nothing else really matters. Our lungs depend on normal mucus production for protection from bacteria and viruses and as a cleaning mechanism. Dust, pollen and foreign microbes become adhered to the mucus, and microscopic hairs called cilia constantly move the mucus upward where we can either cough it out or swallow it without really realizing it. Smoking, incidentally, stops the cilia for several hours-which is the reason for a “smoker’s cough” in the morning. The cilia have just started to clean out the lungs. That first cigarette shoots the garbageman so that he leaves the trash on the doorstep. 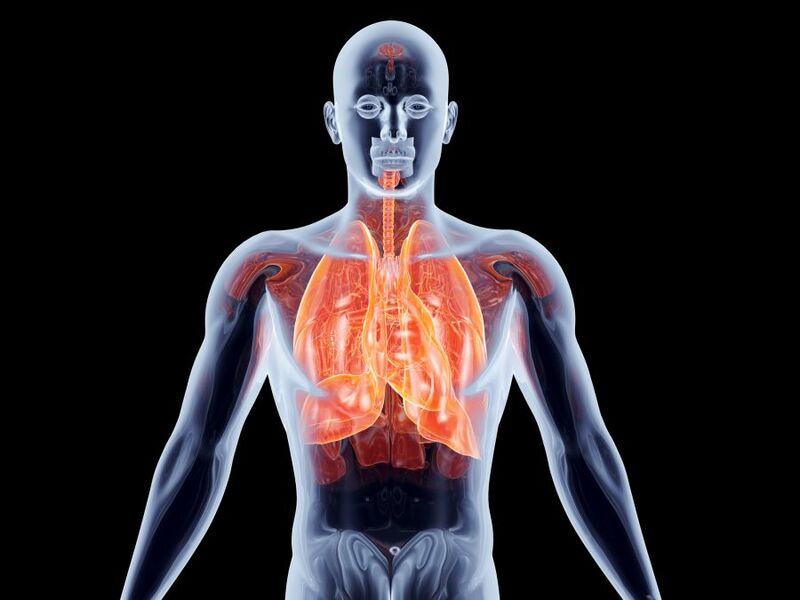 Our lungs also depend on the immune system for protection from harmful bacteria and inflammatory response to injury. Too much or too little of either function results in problems. It has been known for some time that the human immune system is quite dependent upon the bacterial microbiome of the intestines for its development and function. The gut is home to more bacteria than there are people on the earth and these bacteria are the microbial drill sergeants that develop and instruct our immune system from birth. There exists a constant cross-talk between the gut bacteria (the microbiome) and the human immune system. What has more recently been discovered is that each area of the body has its own local microbiome, similar to different neighborhoods in a big city. The lung, long thought to be sterile beyond the bronchi, has proven to have its own microbiome as well. This population of symbiotic bacteria maintains the integrity of the mucous lining, guards against invading forces of pathogenic bacteria, and communicates with the intestinal microbiome to keep the immune system alert but not overactive. As in many things, when all is well nothing is obvious. No news is good news, right? The gut symbionts keep the immune T-regulatory cells active to monitor and limit inflammation, in particular Th17 helper cells that affect lungs. If the gut bacteria fail due to insufficient numbers or imbalance, Th17 levels can rise and result in airway inflammation, constriction, wheezing, asthma or vulnerability to infections. One of the factors that makes the microbiome more powerful and effective is species diversity. You see, each of these body regions and the whole body is in effect an ecosystem. These ecosystems are vulnerable to the same laws of biology as a forest, lake or swamp: a loss of species diversity reduces adaptability and increases vulnerability to destructive forces. Things that reduce the diversity of the human microbiome include stress, chemicals in food (such as sucralose/Splenda), immunoreactive foods like gluten that cause intestinal inflammation, excess consumption of foods, sweets/sugar, chlorine in water, antibiotic use, pollution…an extensive list that defines a health or unhealthy diet and lifestyle! In the lungs, a loss of species diversity results in decreased adaptability to changes in air quality and temperature, exercise and stress. Loss of diversity leaves gaps in defenses that can permit an opportunistic pathogen a chance to thrive and cause an infection. What can be done about it? Relaxation, breathing exercises, healthy/clean diet (organic or homegrown pesticide-free fruits and veggies), eliminating sweets and soda from the diet, reducing stress, sleeping enough, taking probiotics, eating probiotic foods such as kefir, yogurt, kombucha, homemade sauerkraut and similar fermented foods. Trying to do all of these things early enough as preventive measures may head off problems that would otherwise require antibiotics and cause a major loss of diversity and all of the problems listed above. For extreme cases, evaluating the immune system for food sensitivities can help avoid the consumption of food ingredients that cause a system-wide inflammatory response that is harmful to the microbiome. Restoration of a damaged microbiome can be accomplished! As in many tasks, however, to accomplish a restoration requires first stopping the destruction. Or, the person who wishes to climb a mountain must first stop digging a hole! 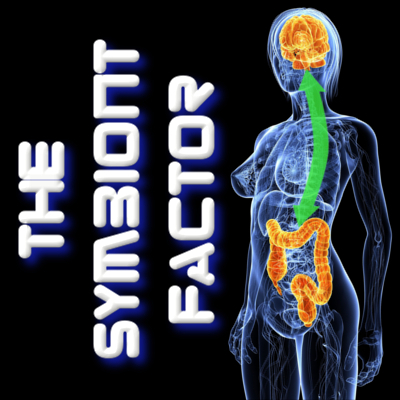 All of the concepts presented here are central to The Symbiont Factor, which will be published the second quarter of 2014. This entry was posted in Uncategorized and tagged asthma, bacteria, COPD, diet, gut, IgG, immune, immunoglobulin, kefir, lifestyle, lung, microbiome, microbiota, pneumonia, probiotic, probiotics, smoking, symbiont, symbiosis, symbiote, symbiotic, yogurt on March 31, 2014 by Dr. Richard Matthews.